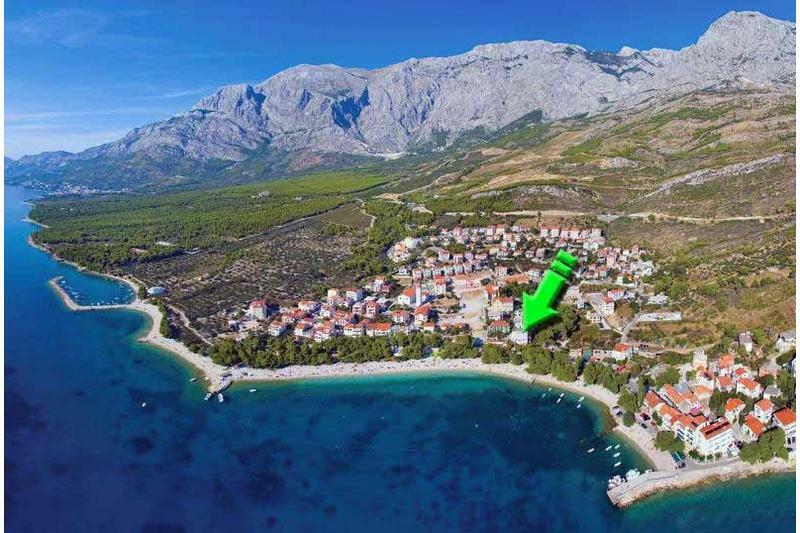 Apartment Karla A5 / for 5 persons / 60 m² / 1. floor / Apartments for rent is located on the beach in the center of Promajna, a small fishing village near Makarska, only 10 m from the beach, restaurants, shops, bars and entertainment. The apartment consists of two double bedrooms + kitchen with dining room + 2 bathroom / wc and terrace. Guests can use the free private parking. Apartment Karla is only 10 m from the sea and sandy beach, which is due to the fine sand and natural shade of pine trees ideal for small children and the elderly. If you decide to spend your holiday in Croatia and Promajni hope you choose our apartments and we look forward to your arrival. - BEDROOM 1: Double bed 200x180 cm + extra bed 200x80 cm + satellite TV + WiFi - Internet + air conditioning + wardrobe + bathroom with shower / WC and exit to the kitchen from the room. - BEDROOM 2: Double bed 190x150 cm + wardrobe + bathroom with shower / WC. - KITCHEN: Stove (2 hotplates), refrigerator with freezer, kettle, Cleaning products, glas plates oven, cookware, cutlery and drinks. 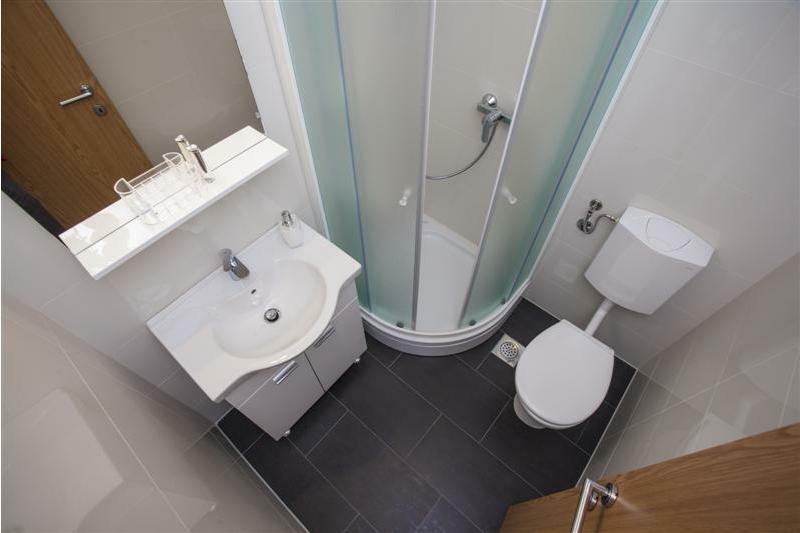 - BATHROOM: 2 x Shower / tub, toilet, Toiletries. - TERRACE: 10 m 2 Table and chairs + sea view. - PARKING: Free private parking. 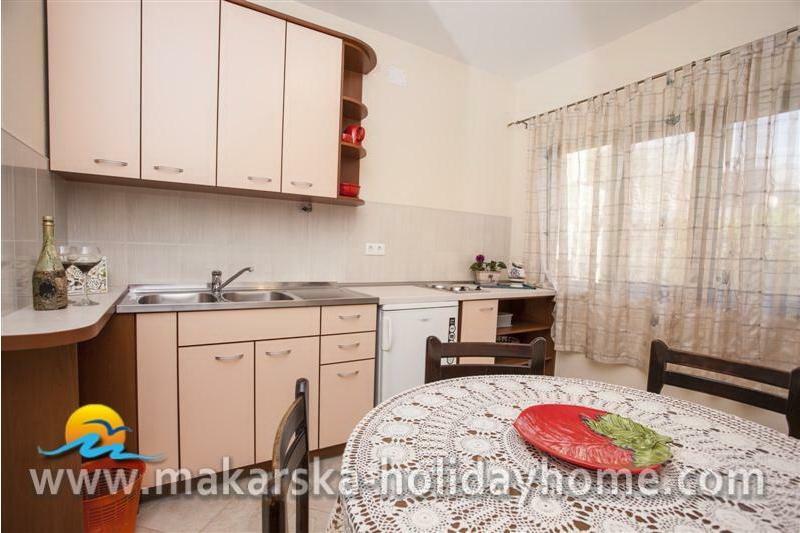 Parking away from the house 0 m.
THE PRICE INCLUDES: Tourist tax, Air conditioning, Internet, Bed linen, Towels, Parking, Cleaning products and Final cleaning. For all information please contact us. ADDITIONAL COSTS: There is no additional cost. PAYMENT TERMS: To ensure the reservation is required to pay a deposit of 30% of the total reservation. The costs of the bank sender and the recipient's bank shall be borne by the sender in its entirety. NOTE: After you make the reservation payment, we will deliver the correct address and any other documents. For security reasons, we are not able to issue information about the travel documents in advance. Thank you for your understanding. CHECK IN: Guest can enter the accommodation unit after 14:00 hours/pm, CHECK OUT: Guest must leave the accommodation by 10:00 hours/am. NOTE: For more information, see CONDITIONS OF BOOKING. Maximum 5 persons (adults and children) can stay at this property. Please select. Makarska holiday home je turistička agencija koja raspolaže sa najluksuznijim privatnim smještajem na Makarskoj rivijeri. Naši apartmani i ville su vrhunski opremljene za ugodan boravak gostiju. Kuće za odmor koje imamo u našoj ponudi u selima iznad Makarske pružaju ugođaj zaboravljenih starih vremena a istovremeno pružaju luksuzan i komforan smještaj, uz vile sa bazenom i apartmani s bazenom su u našoj ponudi. Apartmani blizu mora na najljepšoj plaži mediterana su također u našoj ponudi. 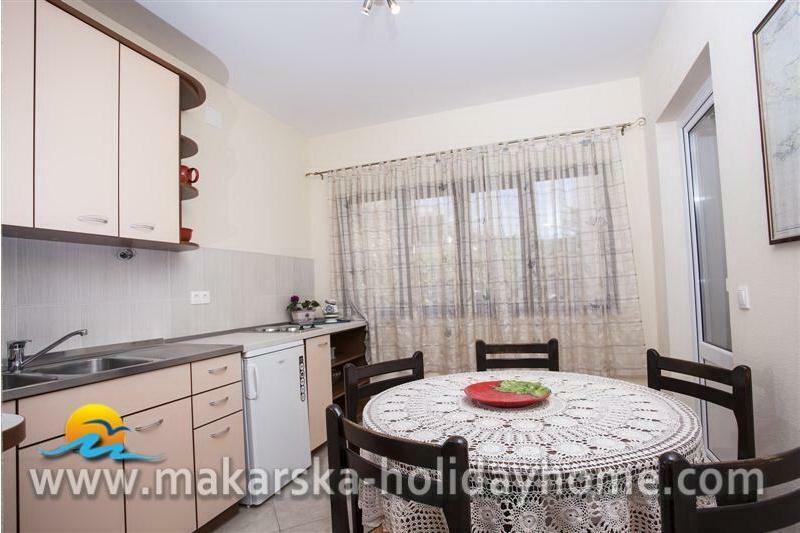 Croatia holiday homes je također naša web domena. 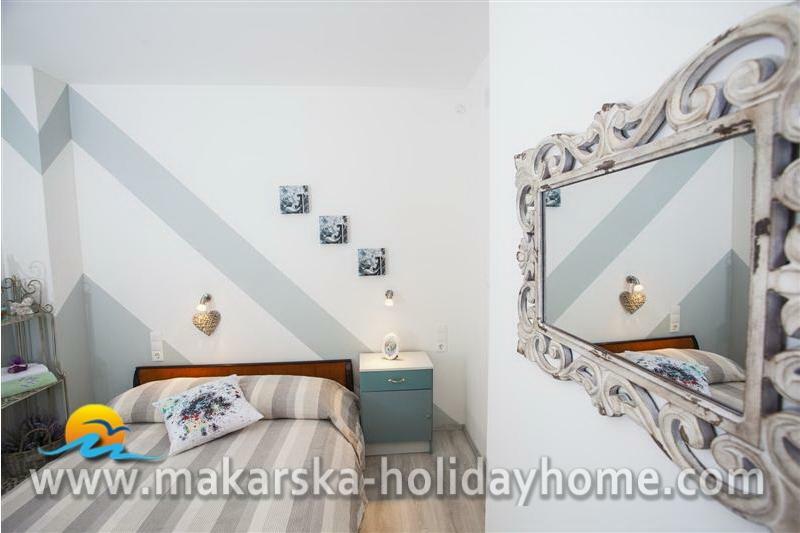 Croatia Makarska holiday home is a travel agency that offers the most luxurious private accommodation on Makarska Riviera. 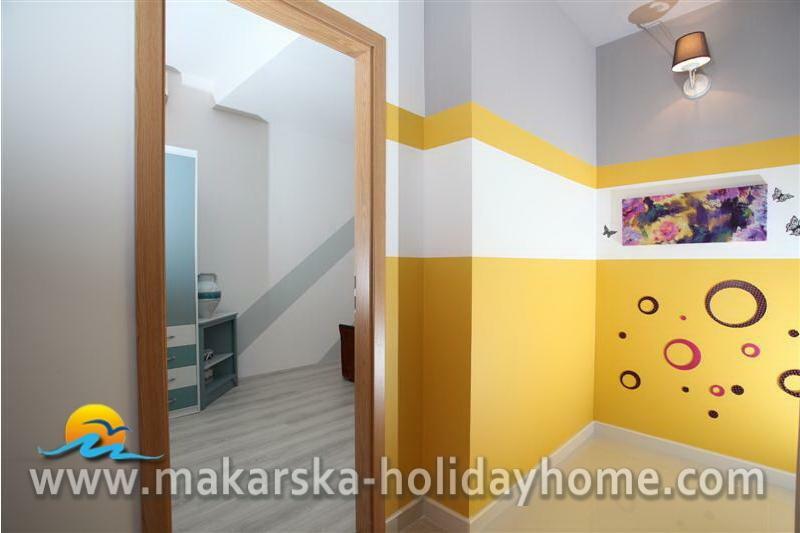 Our Makarska apartments and villas are fully equipped for a comfortable stay. 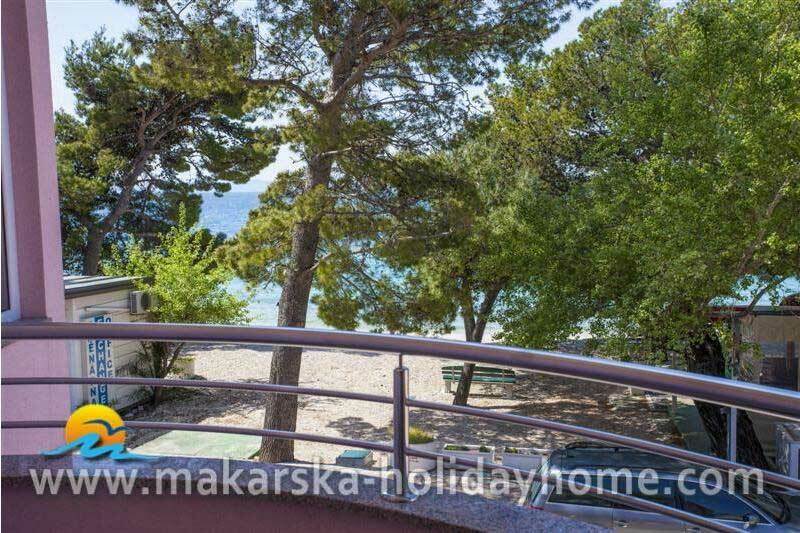 Makarska holiday homes that we have in our offer in the villages above Makarska offers the atmosphere of forgotten old times while offering a luxurious and comfortable accommodation, the Makarska vills with pool of and Makarska apartments with swimming pool are part of the offer. 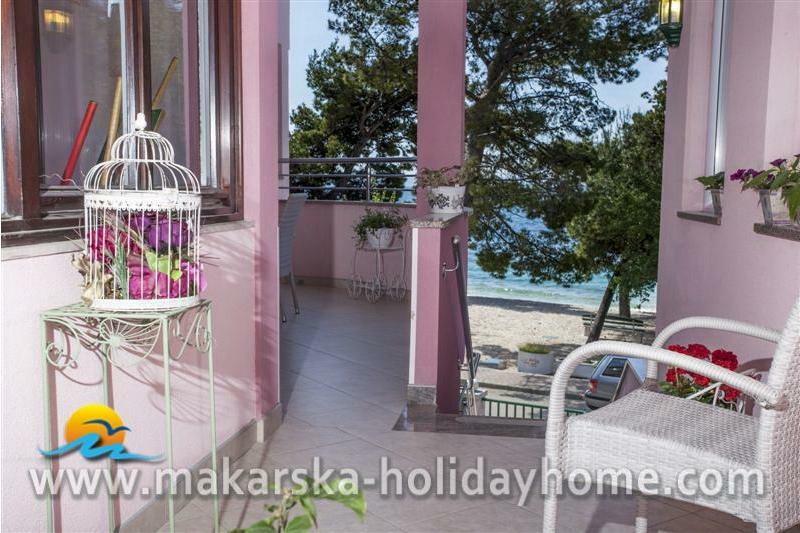 Makarska Apartments near the sea on the most beautiful beaches of the Mediterranean are also part of our offer. 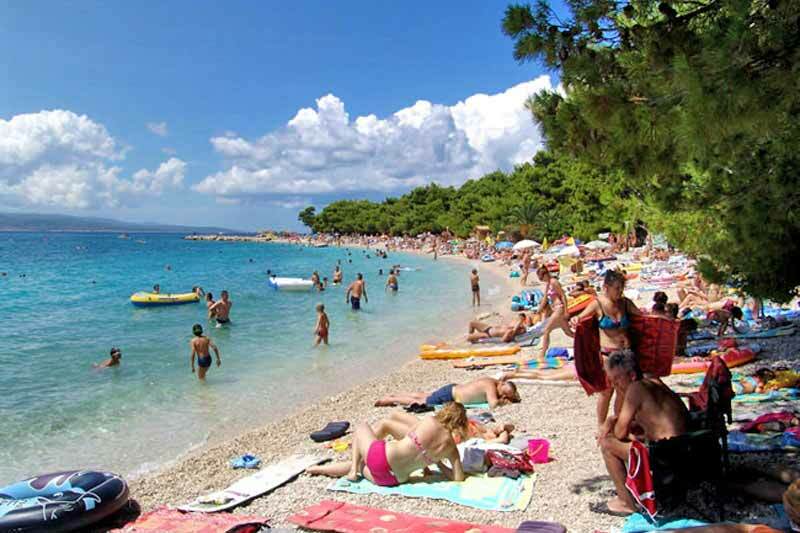 Croatia holiday homes is also our web domain, which offers Makarska accommodation. Kroatien Makarska Ferienhaus ist ein Reisebüro, das zu den luxuriösesten privaten Unterkünften an der Makarska Riviera bietet. Unsere Makarska Ferienwohnungen und Ferienhäuser sind komplett ausgestattet für einen komfortablen Aufenthalt ausgestattet. Makarska Ferienhäuser, dass wir in unserem Angebot in den Dörfern über Makarska bietet die Atmosphäre der alten Zeiten vergessen und bieten eine luxuriöse und komfortable Unterkunft, die Makarska Villen mit Pool und Makarska Ferienwohnung mit Pool Bestandteil des Angebots sind. Makarska Ferienwohnungen am Meer an einem der schönsten Strände des Mittelmeers sind ebenfalls Teil unseres Angebots. Kroatien Ferienwohnung ist auch unser Web-Domain, die Makarska Unterkunft bietet. Makarska Case Vacanze è una agenzia turistica che offre la sistemazione più lussuosa private sulla riviera di Makarska. I nostri appartamenti Makarska e le ville sono completamente attrezzate per un soggiorno confortevole. Case vacanze Makarska che abbiamo nella nostra offerta nei villaggi sopra Makarska offre l'atmosfera di altri tempi dimenticato, offrendo una sistemazione lussuosa e confortevole, Makarska Villa con piscina e Makarska appartamenti con piscina sono parte dell'offerta. 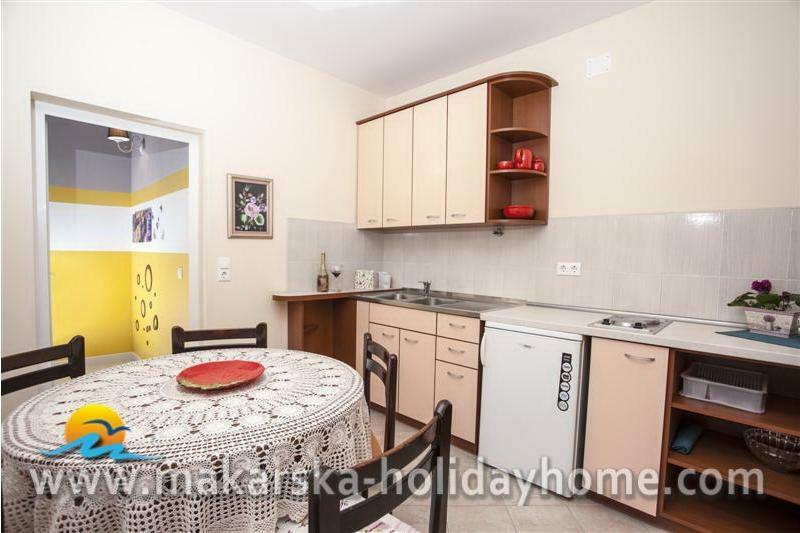 Appartamenti Makarska vicino al mare sulle spiagge più belle del Mediterraneo, sono anche parte della nostra offerta. Case vacanze Croazia è anche il nostro dominio web, che offre alloggi Makarska. Chorvatsko Ubytování v soukromí Makarska je turistická agentura, která nabízí nejluxusnější ubytování v soukromí na Makarská riviéřa. Naše Makarska apartmány a vily jsou plně vybaveny pro pohodlný pobyt. Makarska Rekreačné Domy, které máme v naší nabídce v obcích nad Makarskou nabízí atmosféru zapomenutých starých časů a zároveň nabízí luxusní a komfortní ubytování, Makarská vily s bazénem a Makarska apartmány s bazénem je součástí nabídky. Makarska apartmány blizko moře na jednom z nejkrásnějších pláží Středomoří jsou také součástí naší nabídky. Chorvatsko rekreační domy je i naše webové domény, které nabízí ubytování Makarska. Dovolená v Chorvatsku a Dovolená v Makarsku. Chorwacja Makarska wakacyjne jest agencją turystyczną, która oferuje najbardziej luksusowe prywatne, noclegi na Riwiera Makarska. Nasze apartamenty i wille Makarska są w pełni wyposażone na komfortowy pobyt. Makarska domów wakacyjnych, które mamy w naszej ofercie w miejscowościach powyżej Makarska oferuje atmosferę zapomniane stare czasy, jednocześnie oferując luksusowe i komfortowe zakwaterowanie, Makarska wille z basenem i Makarska apartamenty z basenem są częścią oferty. Makarska Apartamenty blisko morza na najpiękniejszych plaż Morza Śródziemnego są również częścią naszej oferty. Chorwacja domów wakacyjnych i Chorwacja apartamenty jest również nasza domena internetowa, która oferuje zakwaterowanie w Makarskiej. Makarska, Kwatery. Дома для отдыха Хорватия Макарска туристических агентств, которая предлагает самые роскошные частные размещения на Макарскоa Ривьерa. Наши Макарска квартиры и виллы полностью оборудованы для комфортного проживания. Макарска домов отдыха, что мы имеем в нашем предложении в деревнях выше Макарска предлагает атмосферу забытых старых времен, предлагая роскошные и комфортабельные номера, Макарска виллы с бассейном и Макарска апартаменты с бассейном являются частью предложения. Макарска апартаменты недалеко от моря на самых красивых пляжей Средиземноморья, также являются частью нашего предложения. Хорватия домов отдыха и Хорватия апартаменты также наш веб-домен, который предлагает размещение Макарской. Kroatia Lomamökit Makarska on matkailutoimisto, joka tarjoaa ylelliset yksityistä majoitusta Makarska Riviera. Meidän Makarska huoneistoja ja huviloita on täysin varustettu viihtyisää oleskelua. Makarska lomamökit, että meillä on tarjota kyliin edellä Makarska tarjoaa tunnelmaa unohtanut vanhoja aikoja ja tarjoaa ylellisen ja miellyttävän majoituksen, Makarska huvila uima ja Makarska huoneistoja uima-allas on osa tarjouksen. Makarska Huoneisto lähellä meren kauneimmista rannoista Välimeren kuuluvat myös tarjouksemme. Kroatia lomamökit ja Kroatia huoneistot on myös web-domain, joka tarjoaa Makarska majoitusta.